Although widespread interest in tissue engineering for organ replacement has forced major developments during the past few years, the most successful clinical approach to counteract whole organ failure still remains allograft transplantation. Refinements of surgical techniques but in particular the increasing knowledge of the pathophysiology and immunology of graft destruction have additionally improved both early engraftment and long-term outcome in transplantation medicine, including kidney, pancreas, and liver grafting. Of interest, the transplantation procedure is able to substantially restore quality of life of these patients. Nonetheless, the shortage of donor organs together with the increasing numbers of patients with need for a transplant turned transplant surgeons toward the use of organs of critical quality. 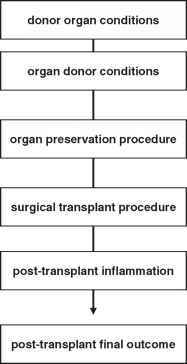 Those organs, however, are more susceptible to developing graft failure and, thus, require additional improvements of organ procurement and post-transplant treatment. The majority of primary and delayed loss of graft function in clinical transplantation is caused by cold preservation-reperfusion-mediated graft injury and rejection-associated immunologic tissue destruction. Whereas reperfusion injury is considered to be a nonspecific, granulocyte-mediated inflammatory process, rejection is considered a highly specific, alloantigen-triggered disease. Although these two events may differ distinctly in nature, recent studies indicate a linkage in that postischemic reperfusion injury sensitizes whole-organ transplants for the development of graft rejection . Because the interaction of inflammatory and immunocompetent blood cells with the grafts' microvascular endothelial lining is thought to be the first step in the cascade of events involved in ischemia-reperfusion injury and graft rejection, the microcirculation of the transplanted organs represents the central target in post-transplant graft failure . In the development of microcirculatory dysfunction, a variety of parameters affect the manifestation of ischemia-reperfusion injury, including organ donor conditions, donor organ quality, organ preservation and storage, the technical surgical procedure, and, finally, reperfusion-associated inflammation (Figure 1). The quality of post-transplantation microvascular perfusion depends on both the general condition of the organ donor and the individual condition of the donor organ. Steatosis and fibrosis of the donor organ alter the quality of microcirculation under normal conditions but in particular after an ischemia-reperfusion insult, including not only warm ischemia but also cold ischemia, preservation, and transplantation. After transplantation, steatotic livers show narrow and irregular sinusoids, associated with altered perfusion and blood cell adhesions to endothelial cells. In those fatty livers the increased leukocyte accumulation and adhesion within the microvasculature is associated with a more pronounced generation of oxygen radicals as well as with a reduction of mitochondrial membrane potential, resulting in marked hepatocellular disintegration. As a consequence, the transplantation of steatotic livers is associated with an increased rate of primary dysfunction or nonfunction of the grafts, which, in clinical practice, requires emergency retransplantation. Figure 1 Factors influencing microcirculatory reperfusion injury after whole-organ cold storage and transplantation. Besides donor organ dysfunction, brain death of the organ donor per se induces arterial hypotension, which is associated with liver sinusoidal perfusion failure and leukocyte-endothelial cell interaction as well as hepatocellular disintegration and dysfunction, as indicated by hepato-cyte vacuolization and decreased bile production. The microcirculatory failure, the inflammatory response, and the hepatocellular dysfunction seem not to be due to the arterial hypotension, because a comparable extent of hypotension without brain death does not affect hepatic microcirculation and function, and induction of normotension during brain death is not capable of preventing deterioration of the microcirculation and hepatocellular injury. With the growing disparity between the number of patients awaiting organ transplantation and the limited supply of cadaveric organs, there is renewed interest in the use of organs retrieved from nonheart-beating donors. However, it should be taken into account that the addition of a warm ischemic period to the cold preservation period may dramatically aggravate the post-transplant ischemia-reperfusion injury, including the deterioration of the microcirculation. In both kidneys and livers from non-heart-beating donors microvascular perfusion with histidine-tryptophan-ketoglutarate (HTK) solution has been shown to be slightly deteriorated after 30 minutes and markedly deteriorated after 60 minutes of cardiac arrest. Perfusion solutions with higher viscosity than that of HTK, as represented by the University of Wisconsin solution, show even more pronounced microvascular perfusion deficits in both kidneys and livers. The microcirculatory preservation quality of those organs from nonheart-beating donors may be improved by dual perfusion (in livers) and increasing the perfusion pressure, by pretreatment of the donor with heparin and phentolamine, or by a warm preflush of the organs with streptokinase . In addition to an appropriate equilibration of the microvasculature with preservation solution, the oxygenation of nonheart-beating donor organs during cold storage may be a promising approach to avoid parenchymal cell injury and to improve post-transplant organ function. This is achieved by retrograde venous oxygen persufflation. In fact, in long-term preserved livers harvested from nonheart-beating donors mitochondrial redox state and thus ATP content were found to be significantly improved when pure oxygen was applied with a per-sufflation pressure of 9mmHg or 18mmHg. Preservation of organ grafts may induce hyperinflamma-tion after transplantation. In rat livers, 24 hours of storage in cold Euro-Collins solution has been shown to double Kupffer cell activation and phagocytosis. Accordingly, blockade of Kupffer cell function of organ donors by methyl palmitate is not only effective in reducing Kupffer cell activation, but also in improving post-transplant survival. In line with these results, organ donor pretreatment with epoprostenol, the anti-inflammatory prostaglandin-I2, results in amelioration of post-transplant sinusoidal perfusion failure and microvascular leukocyte adherence, which is associated with an overall improvement of parenchymal graft function. The efficacy of anti-inflammatory conditioning of the organ donor has recently been confirmed in an experimental model of porcine liver transplantation, demonstrating a reduction of ischemia-reperfusion injury by elimination of Kupffer cell function through gadolinium chloride donor pretreatment. Gadolinium chloride given to donor livers can reduce post-transplant AST-levels, improve hepatic macro- and microcirculation, and increase survival. Although those studies showed that blockade of Kupffer cells is not associated with the risk of increased infection, but, in contrast, improved hepatic endotoxin clearance, the approach to attenuate post-transplant reperfusion injury by targeting Kupffer cell function of the organ donor has not yet been introduced in clinical practice yet. Other donor conditioning programs, such as induction of heat shock proteins, short-term immunosuppression by mycophenolate mophetil, or pretreatment with interleukin-10, prostacyclin, and pentoxifylline, have also been shown to attenuate post-transplant reperfusion injury. 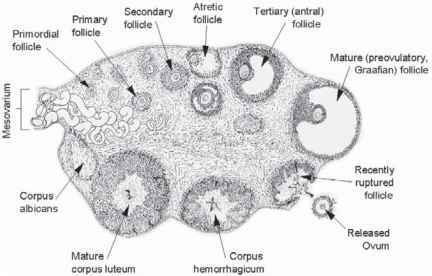 However, the role of the microcirculation in this protection has not been analyzed yet. Again, those programs have also not been introduced to patients until now. The only donor organ conditioning program that is presently being tested in clinical practice is the ischemic preconditioning procedure. Ischemic preconditioning refers to a phenomenon in which brief episodes of vascular occlusion render a tissue resistant to the deleterious effects of subsequent prolonged ischemia. Recent experimental and clinical studies have demonstrated that ischemic preconditioning is able to protect from injury after both warm and cold ischemia-reperfusion by improving the microvascular perfusion and reducing leukocyte- and platelet-endothelial cell interaction in the transplanted organs. The mechanisms of action of ischemic preconditioning are not fully understood yet; however, it seems to involve the action of adeno-sine, nitric oxide, and heat shock proteins, including downregulation of nuclear factor kappa B and inhibition of caspase activation .